Congratulations Andreas Pleines! 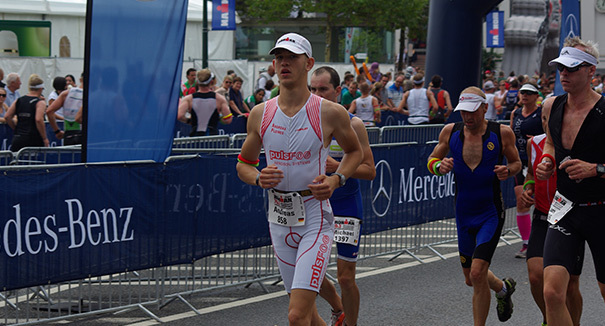 As you may know, pulsFOG sponsored our own Andreas Pleines in the IRONMAN 70.3 European Championship that took place in Wiesbaden, Germany on August 11, 2013.The IRONMAN competitors must cover a total distance of 70.3 miles (113.0 km), consisting of a 1.2-mile (1.9 km) swim, a 56-mile (90 km) bike ride, and a 13.1-mile (21.1 km) run. The competition is performed entirely outdoors. With his intense training and outstanding effort, Andreas Pleines had a total race time of 6 hours 23 minutes, placing him in the upper half of men in his age group! 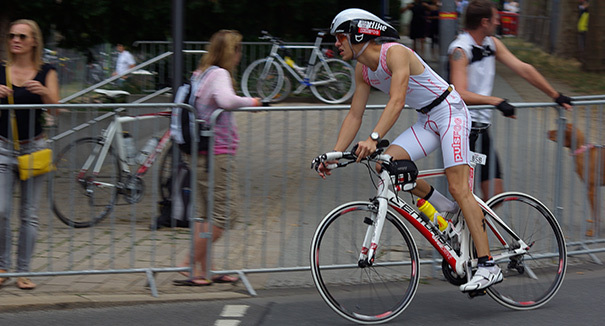 This years IRONMAN 70.3 European Championship Wiesbaden included over 2,500 triathlon athletes from all over the world. “I trained for months leading up to this triathlon, but nothing prepares you for the stress and nervousness that comes with the big race day. I just had to leave the stomach butterflies at the start line and set my concentration toward the finish line,” said Andreas after the competition. Andreas Pleines’s race time breakdown for each part of the IRONMAN 70.3 Wiesbaden is as follows: 1,9km swim- 37 minutes 45 seconds/ 90.1km bike- 3 hours 19 minutes/ 21.1km run- 2 hours 15 minutes.